Fill Out The Form For A Free Quote! Are you thinking about trimming your palm trees? When you think of California you think of the beach and palm trees. They add so much beauty. But, did you know they typically grow to be between 20 and 40 ft high and can weigh up to 10,000 pounds? These trees add so much beauty, and they are surprisingly low-maintenance as well. Palms do not require extensive care if you routinely care for them. Tree Service San Clemente will provide an assessment of your palm trees before determining a tree care plan to keep them looking their very best. Custom service plans – We will make a thorough assessment of the proper treatment plans for your palm trees. This assessment includes looking for any warning signs of damage or disease, in addition to identifying any potential nutritional deficiencies. Tree fertilization – We will determine which forms of fertilization and nutrient treatments that will best benefit your trees. We will also recommend routine treatments. Winter treatments – Winter treatments are essential to making sure that your trees stay healthy year-round. 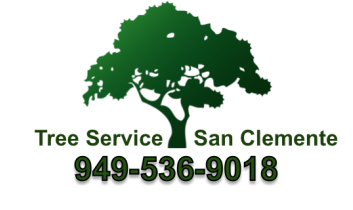 Tree Service San Clemente will provide thorough winterization, as well as pruning and whatever is necessary to keeping your palms vibrant and healthy. Fusarium Wilt - Fusarium wilt is a fungal infection common in palm trees. This fungus enters the trees through the roots and spreads to the entire tree. Also, if any trees do become infected with fusarium wilt, make sure they are removed immediately. Also, any other infected debris or other plants should be removed as soon as possible. Spores of this particular disease have been known to be present in the soil for years even after infected plants have died. Call Tree Service San Clemente today 949-536-9018 to see how we can help make sure your palm trees thrive, and stay healthy and vibrant for years to come!